ZZ Top in Montreal or Quebec City? Inform me about the next events for ZZ Top. Enroll yourself to our priority waiting list for ZZ Top to be alerted when new tickets are available. Filling this form doesn't engage you to any purchase. ZZ Top will be back in the area soon! The legendary band will be on stage at the Quebec City Videotron Centre on August 16th and at the Laval Place Bell on August 17th, 2018. 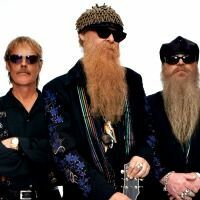 ZZ Top is an American blues rock band very popular in the 70's and the 80's. They have sold more than 50 million albums in their careers. They were also inducted into the famous Rock 'n' Roll Hall of Fame in 2004. Do not miss the ZZ Top in concert this summer !